The SME Policy Index is a benchmarking tool designed for emerging economies to assess SME policy frameworks and monitor progress in policy implementation over time. The Index has been developed by the OECD in partnership with the European Commission, the European Bank for Reconstruction and Development (EBRD), and the European Training Foundation (ETF) in 2006. 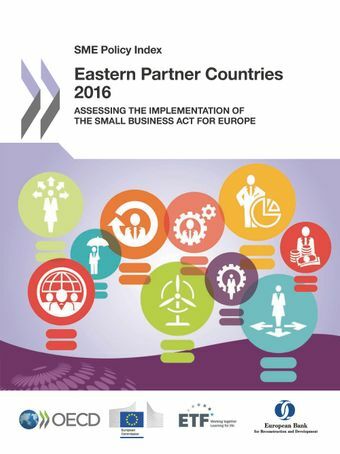 For the Eastern Partner Countries, the assessment framework is structured around the ten principles of the Small Business Act for Europe (SBA), providing a wide-range of pro-enterprise measures to guide the design and implementation of SME policies based on good practices promoted by the EU and the OECD. It is applied to the Eastern Partner Countries for the second time since 2012. The Index identifies strengths and weaknesses in policy design and implementation, allows for comparison across countries and measures convergence towards good practices and relevant policy standards. It aims to support governments in setting targets for SME policy development and to identify strategic priorities to further improve the business environment. It also helps to engage governments in policy dialogue and exchange good practices within the region and with OECD and EU members. The launch event is followed by a series of six country dissemination events in Armenia, Azerbaijan, Belarus, Georgia, Moldova and Ukraine between January and April 2016. The dissemination events will bring together representatives from the government, the OECD, the European Commission, the European Bank for Reconstruction and Development (EBRD) and European Training Foundation (ETF) as well as the business sector, academia, civil society and the media. The events will comprise a high-level public launch, followed by an in-depth discussion on the implementation of the proposed policy roadmaps. The purpose of the launch event for the SME Policy Index: Eastern Partner countries 2016 was to present the findings of the Small Business Act for Europe Assessment and discuss key developments and remaining challenges for the business environment – particularly, for SMEs – in EaP countries. It brought together representatives from the OECD, the European Commission, the European Bank for Reconstruction and Development (EBRD) and European Training Foundation (ETF) as well as key policy stakeholders from the EaP countries.